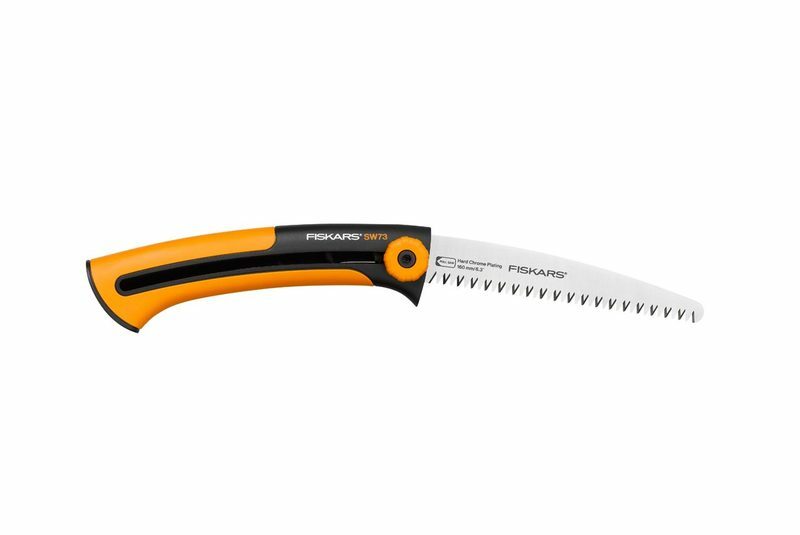 Fiskars Xtract™ Garden Saws are a highly efficient tree saws designed to cut fresh wood. The design features a handy belt clip which retracts when in use while the SoftGrip™ handle ensures a safe grip. There is also a finger guard which protects fingers from sliding to the blade part during sawing. Its highly sharp blade cuts on the pull stroke.